Learn a more efficient way to knit socks. If you suffer from second sock syndrome (can’t bring yourself to knit that second sock), or you’re not a fan of double pointed needles, then you’ll love this method! 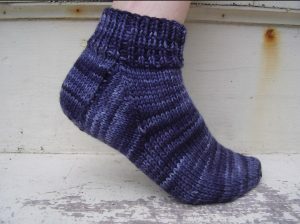 In this class you’ll learn to knit two socks at a time, top down, using the magic loop method.